Q. How can I open a MyiLibrary ebook using the Chrome browser? 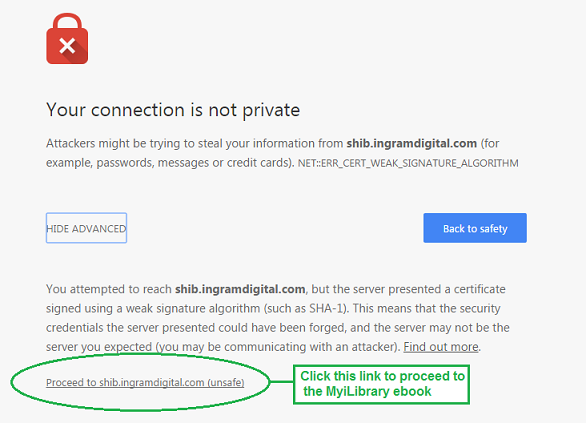 The way Chrome handles weak security certificates changed recently. It considers that the connection is unsafe. Before proceeding you should ensure that your anti-virus program is updated and, if on your own device, your laptop firewall setting is on. If you are in a public place, consider using a VPN client (available from the Connect Portal under My Apps, see links and files below).